Regardless of the size of your backyard, with a complete landscape renovation you can transform your backyard into a relaxing retreat. 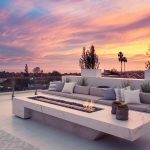 From dining al fresco in your outdoor kitchen and sipping a cold beverage at your outdoor bar to escaping the heat under the shade of your pergola, the experts at Milestone can enhance your backyard into the functional space you’ve been dreaming of. Commercial and residential, we’re ready to help you with your complete landscape renovation project. In the meantime, we’ve compiled a few tips that are sure to enhance your backyard. What better way to enjoy the wonderful weather than preparing and enjoying a meal in the great outdoors! When it comes time for your complete landscape renovation, don’t forget to add an outdoor kitchen and bar countertop. An outdoor kitchen can be designed to include all of the amazing attributes you love about your indoor kitchen. 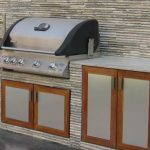 From amazing appliances and barbecues to cabinet storage and sinks, we’ll design your outdoor kitchen to serve as an extension of your internal living space. Pizza oven, Barbeque grill ( Charcoal only or Charcoal and gas combined), single or double burners and Hibachi grills, we can give you them all. For the doors, we can make them from wood, provide stainless steel doors, a garbage bin drawer, and more. Of course you’ll want a place to enjoy your meal! A pergola is the perfect addition to create a separate dining or seating area to relax and entertain friends. By adding comfortable outdoor furniture and decor, you can really make this space an extension of your home. A bar counter is also a great idea to add additional backyard seating. Ideal for hosting dinner parties and large gatherings, your bar will look amazing with a granite countertop and stone cladding. It allows the bartenders to serve easily with all conveniences of a sink, cocktail counter, fridge, wine cooler, power sockets and more. Take the relaxing elements of nature to the next level by adding a custom water feature to your backyard. As you consider your complete landscape renovation think about what water feature you’d like to incorporate. Whether you want to mask the noise from a busy road or create a quiet, contemplative space, a water feature is sure to inject some tranquillity into your backyard. Regardless of the size of your backyard, even a small water feature will add the soothing sounds and sight of water to your backyard retreat. From small fountains to large water walls and koi ponds, a custom water feature is sure to please. We can get creative by adding plant life to enhance your feature. The possibilities are endless! It wouldn’t be the great outdoors without plant life! Even when we’re working with a small space, we can add some life. 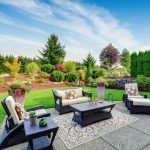 As you consider your complete landscape renovation, think about the types of plants that you want. Do you want flowering plants or do you prefer to stick to greenery? Does your preference include an elevated garden? Do you enjoy cooking? If so, you might want to consider adding an herb garden to your backyard. From tall bamboo trees to smaller bushes and shrubs, the right plant life is sure to create an amazing backyard. 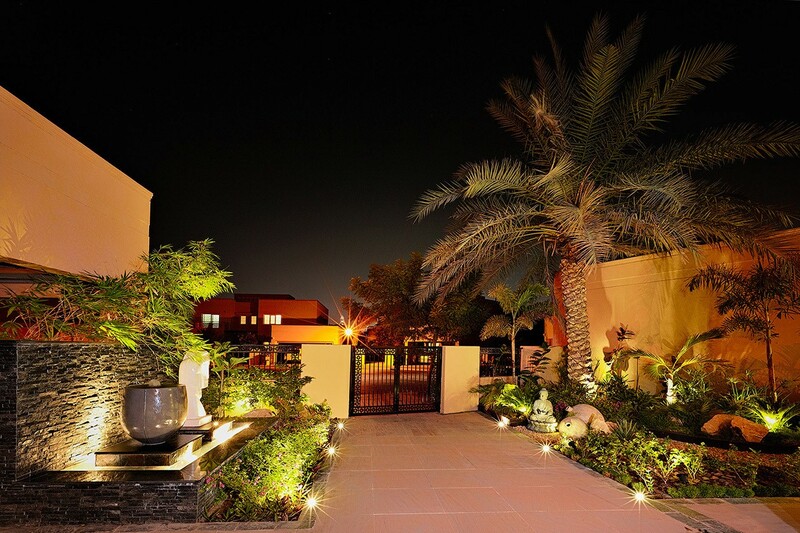 At Milestone, our design experts specialize in complete landscape renovation in Dubai. Whether you want to enhance your villa garden or require a large scale community landscape design, we are up to the task. Contact us today to learn more. We look forward to hearing from you!